There is something to be said for the Panorama cards that have been elegantly fashioned from rose gold stainless steel. They just effortlessly speak of both style and poise. Non-bleed etching and spot coloring on both sides of the card have been paired together, for a detailed and brilliant design that stands out from its competitors. High-end jewelry stores and perfume-orientated brands would especially benefit from the extravagant appearance of the Panorama template, which creates a luxurious and metallic feel that is only exhibited by the most high-quality and respected brands. 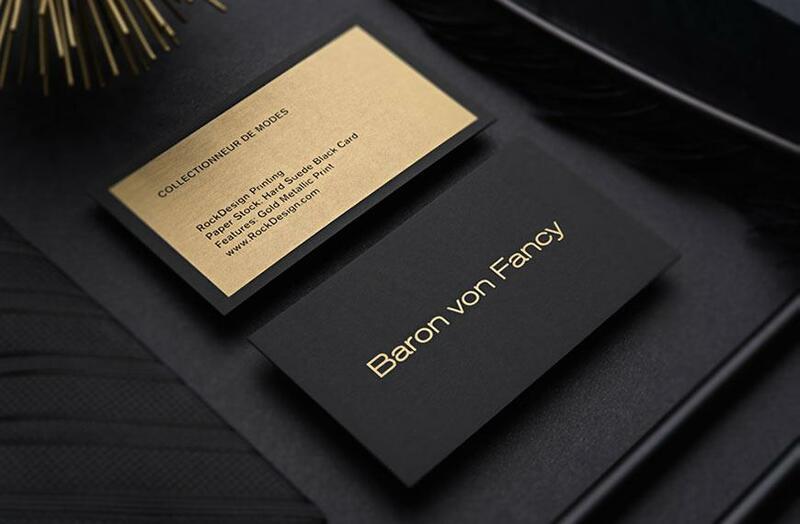 This 0.5mm thick vintage card is an exquisite addition to any company that is after a look that is both luxurious and sharp.